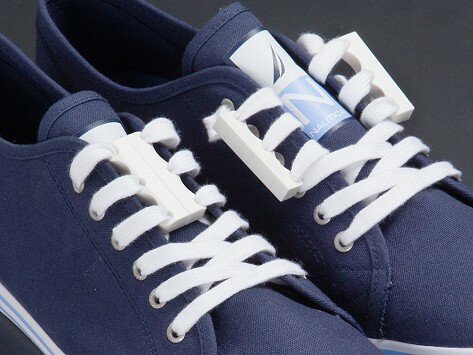 You’ll never need to tie your shoes again with Zubits, the magnetic shoe closure. 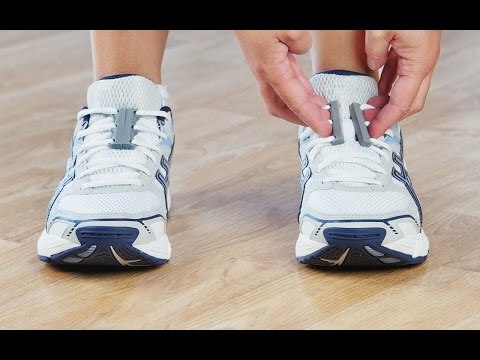 Simply lace the magnets into your shoelaces and you’re ready to go. Super strong magnets hold fast during strenuous activity, but are easy to open. Slip on, click in place, and get out the door. Your shoes will look great (no floppy bows) and you can even hang them up easily. Dimensions: 1.6" x 0.85" x 0.26"
Bought these for my kids to help us get out the door faster and it worked! So much easier than tying and retying their shoes! I am enjoying these very much. They do not come apart while I am working out on the elliptical or walking and are easy to get on and off. The world has been tying shoelaces for far too long, don’t you think? And they’re always coming untied. Meet Zubits, the magnetic shoe closures. When Founder Ryan Wiens’s boys were young, he noticed that they always wore their easy Velcro shoes instead of their nice laced ones. So he came up with a solution to make shoes easier for kids and adults alike. Zubits was crowdfunded on Kickstarter in only a month. Zubits gives you the ease of a slip-on with any laced shoe. Just lace the magnets into your shoelaces and you’re ready to go! The magnets are strong enough to hang your shoes from the fridge or over a hook, and they’ll stay in place until you step on the heel and pop them open again. No more floppy bows or laces to trip on, and no more retying. Zubits make shoes look better, too. Notice how shoe stores display their laces tucked in and neat—rather than tied in unsightly bows? Now you can have that look all the time. Slip on those shoes, click, and go.